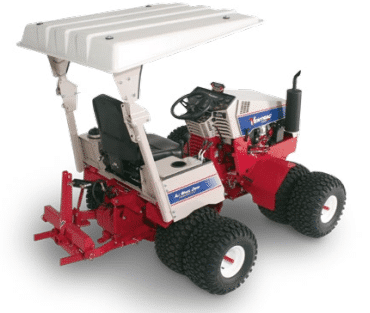 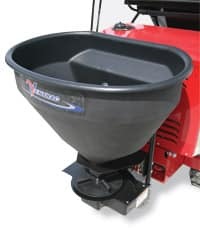 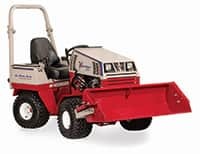 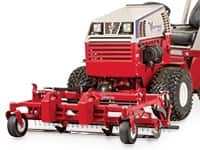 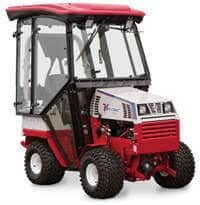 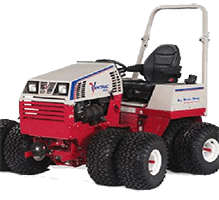 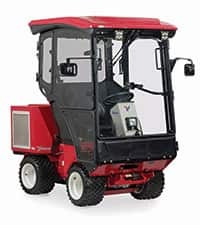 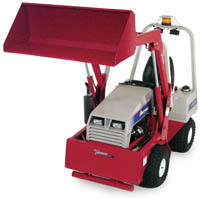 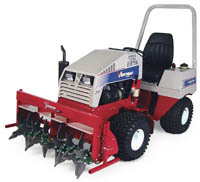 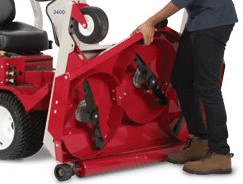 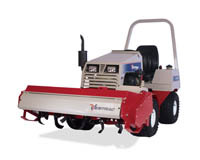 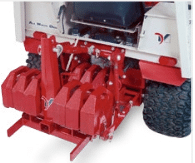 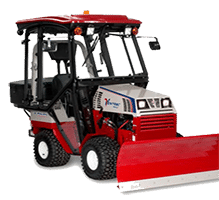 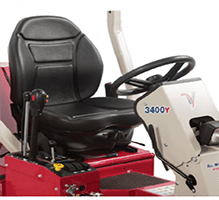 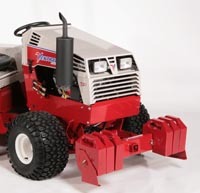 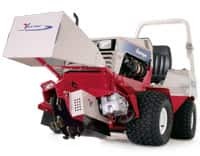 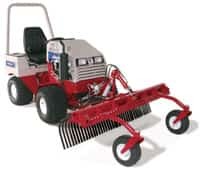 Ventrac LM Side Discharge Finish Mowers have cutting widths of 52 and 60 inches (32, 152 cm) and utilize a rugged all steel frame design, which suspends the Ventrac’s discharge deck. 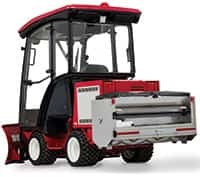 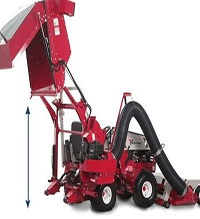 This design gives you a high efficiency grass discharge for a better quality of cut by moving more grass efficiently through the deck tunnel. 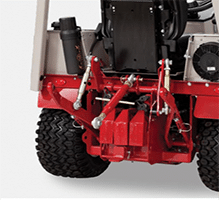 With the removal of two pins beneath the cross frame, the deck can be easily tilted to a near vertical position for maintenance and storage. 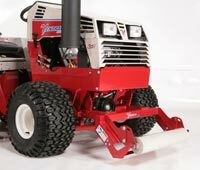 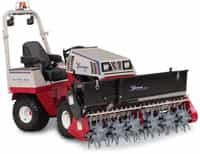 These mowers, equipped with a full width rear roller and wide pneumatic front swivel tires float over terrain independent of the tractor. 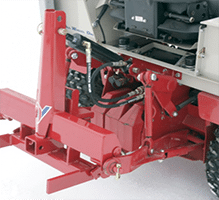 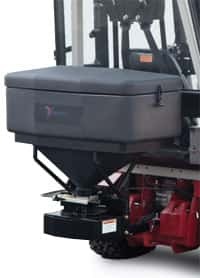 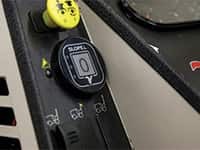 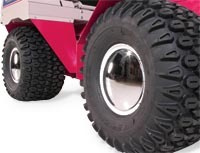 The weight transfer system on the 3400Y (optional on 3400L) reduces mower weight on the ground and increases the traction and stability of the tractor. 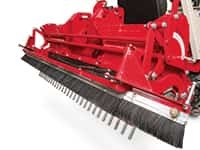 LAS, a unique Linear Adjustment System, provides cutting height selections between 1 ½ and 3 ¾ inches (4 and 9.5 cm). 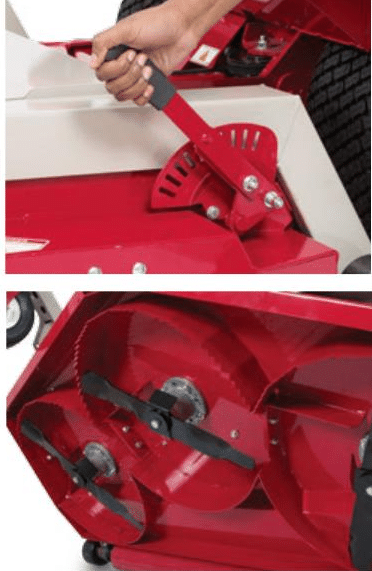 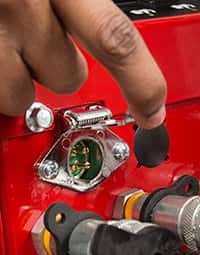 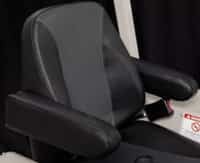 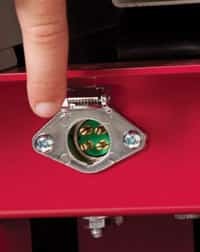 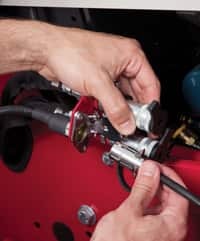 A single handle with a slight outward pull allows for a quick and easy change in cutting height selection. 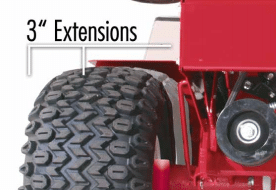 A slide release allows the handle to be returned to deck level, preventing it from catching on low branches and shrubs. 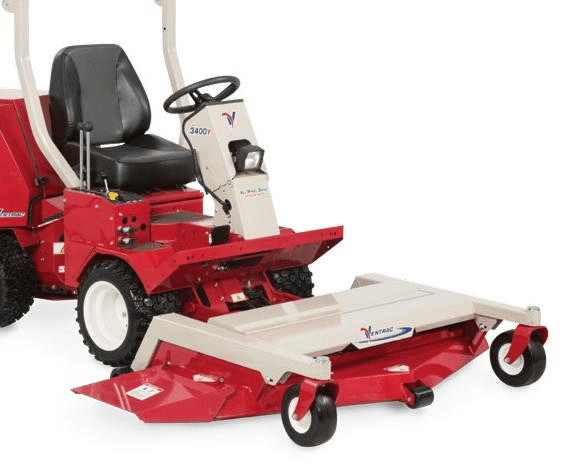 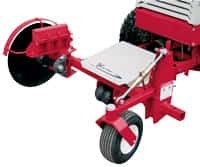 All Ventrac LM finish mowers feature a full width rear roller for the ultimate in yard striping. 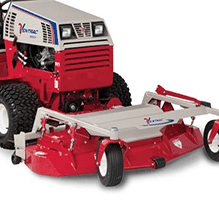 These professional grade mowers are built to give you maximum performance and productivity.